Presentation High School on Tuesday took steps in response to numerous sexual misconduct and harassment allegations by creating a new independent office for responding to such incidents and a committee in charge of preventing future misconduct and abuse. 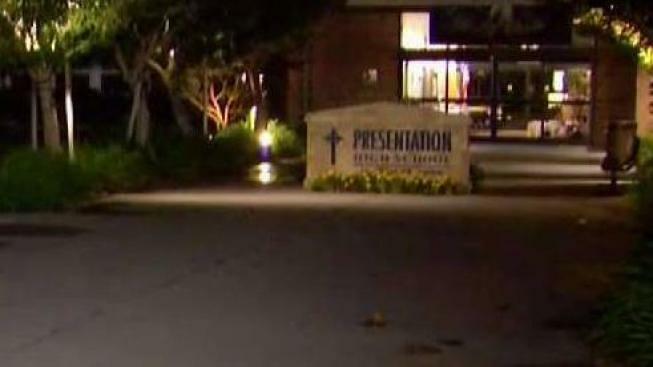 The moves come following an NBC Bay Area investigation that revealed multiple sexual abuse allegations against a former teacher at the private San Jose high school, as well as complaints about sexual harassment and abuse involving other faculty and staff. Some of the allegations date back decades. The new independent Office for the Prevention of Student Bullying, Harassment and Abuse will report directly to the all-girls school's board of directors and will complement the four existing school counselors, school officials said in a release Tuesday. “As a school dedicated to the empowerment of women and committed to social justice as a core part of our mission, the accusations from past alums are not reflective of who we are," Principal Mary Miller said in a statement. "We cannot erase the feelings or change the perceptions of some. But we can learn from the opinions expressed and move forward with even greater resolve. I am deeply sorry that any alum has ever felt unsafe as a result of any action by our faculty or administration." Miller has been accused of not reporting and essentially hushing students' complaints about teacher John Fernandez 30 years ago. The ad-hoc committee will be a diverse mix of parents, alum parents, alumnae and community members with broad expertise in the areas of law, psychology, human resources, education, social work, school counseling and school administration, the school said. Miller said the school has “always put student safety as our top priority, and we believe that we have done our best ... to educate our students and to prevent and address any cases made known to us." The school said the accusations posted by Make Pres Safe are misleading and have resulted in anonymous hate-filled emails, letters and voice mails against the administration, faculty, and parent supporters of the school. "To Presentation, indeed, image is paramount. It is incredibly telling that the first move that they made in response to this crisis was to go out and hire the very best PR company to spin and contort the true facts in a desperate attempt to cast a more favorable glare on its clear misconduct. When one looks at the evidence objectively, the inescapable conclusion is that Presentation’s leaders have repeatedly turned a blind eye to suspected incidents of childhood sexual abuse. Now we know why - it’s all about image over safety. Quite a remarkable revelation, really."